What you see in old romantic movies just doesn't happen very often today. You can still have a wedding ceremony at sea, but it's not easy. 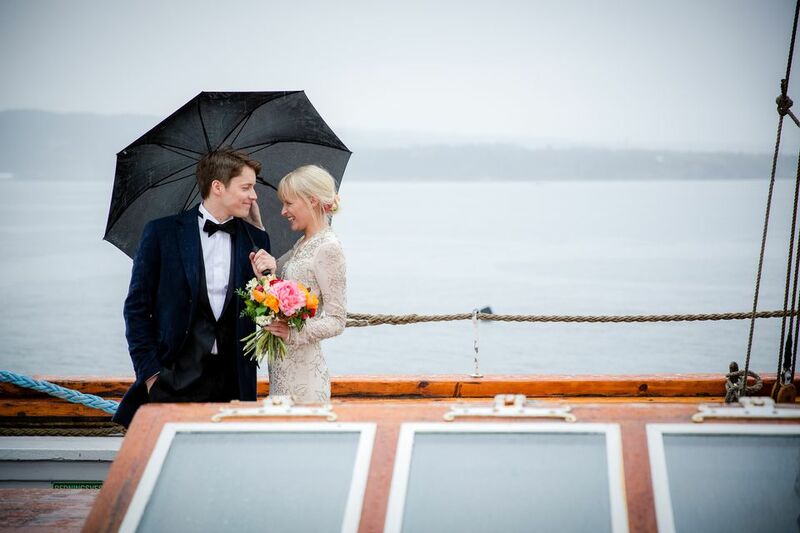 Even though it is believed to be a regular event, weddings at sea are a rarity. A ship's captain generally does NOT have the legal right to officiate a wedding at sea. In order for a Captain of a ship to perform a marriage at sea, he must also be a judge, a justice of the peace, a minister, or an officially recognized officiant such as a Notary Public. Japanese ships allow Captains to perform a marriage ceremony at sea, but only if the couple has valid Japanese passports. Through Bermuda law, and because most of the Princess captains have Bermuda licenses to perform weddings, captains aboard Princess Cruise's Golden Princess, Star Princess, and the Grand Princess may perform weddings aboard ship and at sea. Note that couples in Bermuda must be 21 and have picture identification showing proof of age.Contact the cruise line at 866-444-8820 or 800-774-6237 for more information. A romantic alternative is to have your wedding aboard ship while it is docked in a port. You need to follow the port's requirements for such a wedding. All cruise lines offer this option. Many cruise lines will require that once in port, you will need to leave the ship, swear before a judge that everything is correct with previous prepared paperwork, then go back to the ship for your ceremony. If you want to renew your vows at sea, you need to show proof of a valid marriage. Before Cruise West ceased operations in 2010, if the captain obtained a temporary permit to perform a wedding, the captain could officiate a wedding within designated Alaska waterways. Although there are alternatives to Cruise West, we did not find onboard wedding options available. A wedding at sea takes planning. It's not something you can decide to do at the last minute. Having a wedding at sea makes arranging the honeymoon easier. Just make sure you tell friends and relatives to leave you alone after the ceremony! Some websites may still mention Liberian law for the Princess Cruise Line weddings, but that was changed.